Absolutely stunning executive ranch home in Papillion's most prestigious neighborhood. 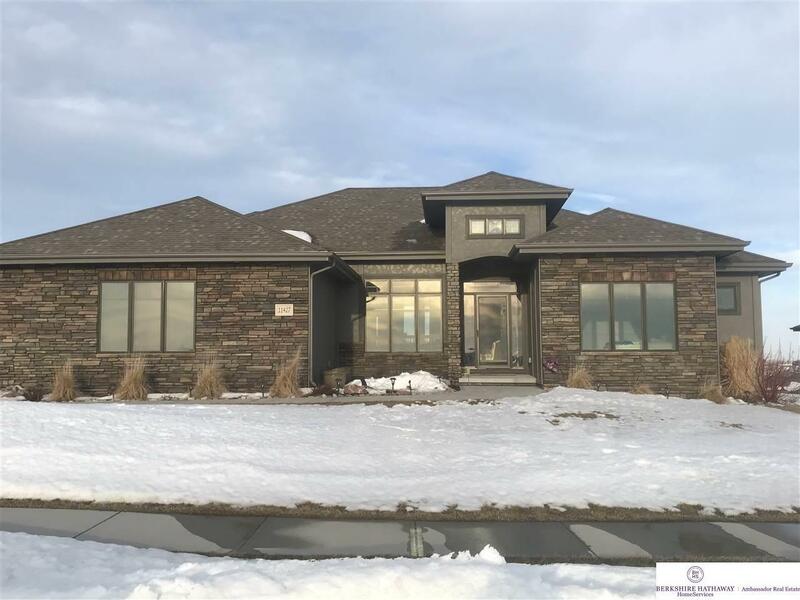 This home features a beautiful open floor plan with curved stairway, floor to ceiling fireplace, 2 good sized bedrooms, double ovens, huge walk-in pantry in the kitchen, and a bright, warm office all on the main level. The lower level features a full bar, rec room area, family room area, exercise room and 2 good sized bedrooms. All bedrooms have a walk-in closet, the home sits on a beautiful walk-out lot and a true 4 car garage. Don't miss this one. Selling Office: Better Homes And Gardens R.e.